Buster Keaton fans have been waiting for this one for a long time. Having released several lesser known Keaton titles such as Go West, Battling Butler, and the non-canonical The Saphead, it was not uncommon to see Keaton fans consistently barraging Kino Lorber's Facebook page with inquiries of "what about The Navigator?" Well the wait is finally over, and the product more than worth it. 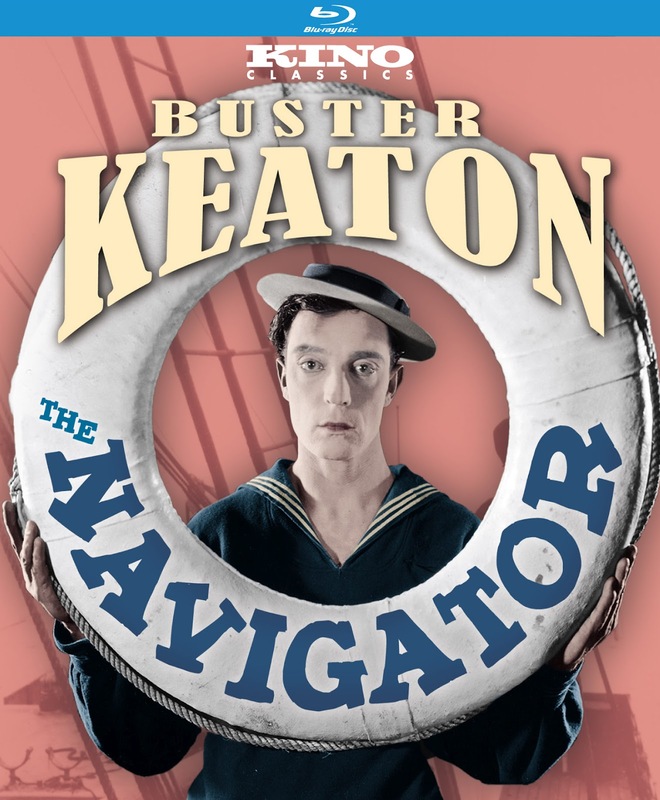 One of Keaton's best and most beloved films, The Navigator (1924) is, in many ways, a direct precursor to his masterpiece, The General (1926), in its themes of man versus machine. 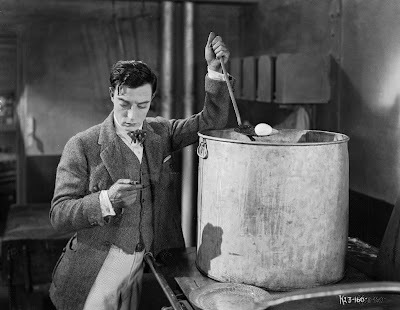 It is also an extension of creative ideas he had originally developed in some of his solo short films, most notably in 1921's The Boat, and would again revisit in his last great feature, the superior Steamboat Bill, Jr., in 1928. As such, The Navigator occupies an important and interesting place in Keaton's career. As it is in most of his films, Keaton's character is basically the same, a good hearted but hopelessly inept heir who boards a ship at night so he doesn't have to get up early the next morning and run the risk of missing it. Unbeknownst to him, the ship is the target of some international spies, who board the ship before it is set adrift to by its government to keep it from falling into enemy hands. Alone with his sweetheart and cast out to sea with a band of villains, Keaton is left to fend for himself and navigate the ship and its newfound maze of dangers. And just when they think they're in the clear, they stumble upon an island filled with bloodthirsty cannibals. The Navigator is perhaps best known for the sequence in which Keaton dons a massive metal diving suit to try and repair the ship underwater. The cannibal sequence might raise a few eyebrows in our more politically correct age, but it almost seems to be a direct inspiration on the natives in 1933's King Kong, although it was a very common portrayal for the time. While ultimately I think Steamboat Bill, Jr. is Keaton's most accomplished boat outing (its whirlwind finale is one of his most elaborate set pieces), The Navigator has plenty to love. Kino's presentation is, as usual, top notch, featuring a fine HD transfer as well as a documentary exploring Keaton's use of boats in his comedy featuring film historian Bruce Lawton. Keaton fans now have a reason to rejoice - The Navigator has finally been given the blu-ray treatment, and with only one more major Keaton work to go (College is due sometime in 2013), the collection will at long last be complete.